Have you ever wondered where Kids Eat Free or Cheap in Waukesha County, the Lake Country area, and Metro Milwaukee? As the mother of three hungry kids, I know the value of finding a deal when eating out with kids! We love being able to take the kids out and work on table manners and proper behavior while dining out. So this guide is all about finding deals when eating out with your little ones! Please call ahead to verify promotion. This was last updated February of 2019 and promotions change often over time. 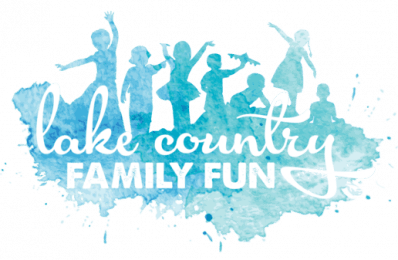 Lake Country Family Fun cannot guarantee the availability or accuracy of the deals. See something wrong, let us know. We take pride in having our guides up to date. Are we MISSING a Kids Eat FREE or INEXPENSIVE deal – let us know and we’ll add it as soon as possible!!! Look for Kid’s Nights to come down the road at the Pewaukee Locations, where there will be various activities, such as face painting, games, treats, etc., once a month. The play land area is a large two tier play area with a toddler area on the lower level and plenty of area for kids to run and play. Learn more about the Pewaukee owner, Kyle. See our media sneak peek here. New Berlin / W180 N9469 Premier Lane, Menomonee Falls / 1267 Capitol Dr, Pewaukee / 20101 W. Bluemound Road, Brookfield ~ Kids Eat for 99 cents Monday through Wednesdays Dine in Only. Restrictions apply. Fuddruckers – 16065 W. Bluemound Rd, Brookfield ~ $1.99 Kids meals with the purchase of an adult entree from 4 to close. IHOP: Various locations. Kids 12 and under eat free (from kids menu) every day from 4-8 pm with the purchase of an adult entree. Kids drinks are not included. Pizza Hut: 910 Summit Ave, Oconomowoc / W156 N8420 Pilgrim Rd, Menomonee Falls / S73 W16730 Janesville Road, Muskego /1708 Summit Ave, Waukesha / 447 W Sunset Dr, Waukesha ~ Lunch buffet 11:30 am – 1:00 pm with adults $5.00; kids 4-10 years old $2.99; kids 0-3 years old FREE. (Monday – Friday Only) Excludes drinks. Jason’s Deli – (March through May 2019 only) ~ Kids ages up to 12 eat free with the purchase of a paying adult. Pizza Ranch Waukesha – Kids Night on Tuesdays from 4-8 where kids 10 and younger eat free per paying adult. Pizza Ranch Watertown– Kids Night on Tuesdays from 4-8 where kids 10 and younger eat free per paying adult. Pizza Crafters – N56 W15560 Silver Spring Dr, Menomonee Falls where Kids ages 4-10 eat FREE after 4 pm with adult purchase. Denny’s – 2801 N. Grandview Blvd. Pewaukee ~ Kids under 10 eat free 4-10 Tuesdays with purchase of adult entree, restrictions may apply. Chili’s – 1229 Corporate Center Dr, Oconomowoc /1260 Sunset Dr, Waukesha / N96 W18640 County Line Rd, Germantown / 17915 W. Bluemound, Brookfield ~ .99 Kid’s Meal is available to kids 12 and under. Purchase of one or more adult entrees required. Limit two kid’s Meals per each adult entree ordered. Multiple redemption per table are allowed. Not valid with any other discounts or special offers. Excludes tax and gratuity. Chancery – 2100 east Moreland Blvd, Waukesha ~ Tuesday is Kid’s Day (10 and under only dine in) all day: $1.00 kid’s meals. At 5:00 pm a magician comes (dates vary)! Valid at the Mequon and Kenosha locations as well. George Webb (Oconomowoc) – 645 E Wisconsin Ave, Oconomowoc ~ From 4:00 pm until 8:00 pm, buy one adult menu entree and one child can eat free from the kids menu (12 and under). Each additional child is only $1.59. Perkins – 2400 Milwaukee St, Delafield ~ Kids eat free after 4:00 pm with purchase of adult entree, restrictions apply. Deal valid at most southeast Wisconsin Perkins. Stir Crazy – 15795 W Bluemound Rd, Brookfield ~ Kids eat free after 4:00 pm with the purchase of adult entree. Ruby Tuesday – 5320 S 76th St, Greendale, WI 53129 ~ Kids eat free after 5:00 pm with the purchase of adult entree. Texas Roadhouse – 15425 Rock Ridge Road, New Berlin ~ Tuesday 4:00 PM – 8:00 PM Round up the lil’ Roadies and join us for our Legendary Kid’s Night featuring: $1.99 Kid’s Meal*, Free Toy*, Free Balloon*, Free Ice Cream with toppings. Kid’s Night is a ton of fun for the whole family so mosey on down to Texas Roadhouse! Please contact us at the restaurant to learn more specific details about this exciting night. Limit 1 Kid’s Meal Discount per 1 Adult Entree Purchased. Dine in only. Not valid with any other offer. Valid at this location only. Ponderosa: 1285 E Sumner St, Hartford ~ Kids Eat free (under 10) after 4pm with the purchase of an adult buffet. UNO’s: W180 N 9455 Premier Ln, Menomonee Falls ~ Kids under 12 get a free kids meal with the purchase of an adult entree on Tuesdays. Drinks are not included. Fazoli’s West Allis: 10833 W Greenfield Ave, West Allis ~ Kids eat for 99 cents Tuesdays after 5pm. Up to three kids per paid adult. Mullen’s Dairy Bar: 212 W Main St., Watertown ~ Tuesday is family night! FREE Kids Meal from 4:00 – 8:00 pm with each adult meal purchased! January 2019 through April 2, 2019. Moes’ Southwest Grill: 1350 Capitol Drive Pewaukee ~ Kids eat free after 4:00 pm. Free meal is with purchase of adult/regular entree. One adult per kid. The Melting Pot Brookfield: 19850 W Bluemound Rd ~ Enjoy a free kids entree with any 4-course experience purchased! Not valid with other discounts or promotions. Senor Tomas Restaurant – 150 North Avenue Hartland ~ $1.00 kids meal per adult entree, restrictions apply. Antigua Real Restaurant – 355 Bay View Road Mukwonago ~ $2.50 kids meal per adult entree, restrictions apply. Drinks are not included. A.J. O’Brady’s – N88W16495 Main Street, Menomonee Falls ~ Every Wednesdays is kids eat free day from 5:00-9:00 pm. One kids meal free per adult meal purchased. Call for details. Pizza Hut: 910 Summit Ave, Oconomowoc / W156 N8420 Pilgrim Rd, Menomonee Falls / S73 W16730 Janesville Road, Muskego /1708 Summit Ave, Waukesha / 447 W Sunset Dr, Waukesha ~ Lunch buffet 11:30 am – 1:00 pm with adults $5.00; kids 4-10 years old $2.99; kids 0-3 years old FREE. (Monday – Friday Only) Excludes drinks. On Wednesdays there is also a buffet from 5 to 7 pm. Red Robin: Brookfield Square and Southridge Mall / Red Robbin has kids meals for $1.99 on Wednesdays. 3 kids entrees per 1 adult entree and valid for kids under 11 years old. Dine in only. Taco Amigo Restaurant – 2104 W. Silvernail Road Pewaukee ~ One free kids meal per adult entree from 5:00-7:00 pm, restrictions apply. Casa Tequilla (Kossow Road location) – Kids eat free (under 12) drinks not included. Comes only with purchase of adult meal. Zin Uncommon California Italian – 629 Main St, Delafield ~Free Kids meals with each adult paid entrée on Sundays. Fishbone’s Cajun & Creole – 1703 Milwaukee St, Delafield~Free Kids meals with each adult paid entrée on Sundays. North Star American Bistro – 19115 W. Capitol Dr. Ste 100, Brookfield ~All children’s entrees, pizzas and sandwiches come with a refillable kids drink and scoop of vanilla ice cream with sprinkles. On Sundays – Kids eat free! Dickey’s Barbecue Pit – 1273 Capitol Dr, Pewaukee / 15175 W National Ave, New Berlin / 3180 N 124th St, Wauwatosa ~ Free kid’s meal with the purchase of an adult entree. 12 and under. Ice cream is always free with paid purchase 🙂 Deal may apply at West Milwaukee and Glendale locations as well. A.J. O’Brady’s – N88W16495 Main Street, Menomonee Falls ~ Every Sunday is kids eat free day from 5:00-9:00 pm. One kids meal free per adult meal purchased. Call for details. Endter’s Sports Grill LLC – 300 Cottonwood Ave #6, Hartland ~ Kids eat free with the purchase of an adult entree. Moe’s Southwest Grill – 1350 Capitol Drive, Pewaukee ~ Kids eat free with the purchase of an adult entree, excluding tacos. Eat in only. Restrictions apply. Ground Round – 1005 S Moorland Rd, Brookfield ~ Kids eat $0.99 kids meals (ages 10 and under) with the purchase of full priced adult entree. Limit two kids dinners per adult. Casa Tequila (Pewaukee Location): 1405 W. Capitol Drive, Suite K, Pewaukee, WI 53072 ~ Kids eat free. Cannot be combined with any other offers or groupons. La Estacion: 319 Williams St, Waukesha ~Sunday brunch kids 2 and under eat free hours are 10am to 3pm. Delafield Brewhaus: 3832 Hillside Dr, Delafield ~The Delafield Brewhaus Sunday Breakfast Buffet served from 9am-1pm. Kids 3 and under are free. Maxie’s Southern Comfort: 6732 W. Fairview, Milwaukee ~ Kids meals are only $1 for children 12 & under with paying adult! Thunderbay Grille: N14 W24130 Tower Place, Pewaukee ~ Sunday Brunch 10-2. Kids under 5 eat free. Machine Shed: N14 W24145 Tower Pl. Pewaukee ~ Sunday Brunch 10-2. Kids 2 and under eat free . Great Harvest Bread Co (Oconomowoc) – In the month of March 2019, purchase a sandwich or salad and kids get a free PB&J or Grilled Cheese. Stone Fire Pizza: 5320 S. Moreland Road, New Berlin, WI ~ Every day kids 2 and under eat free on the buffet. Golden Corral: 1673 Arcadian Ave, Waukesha WI ~ Every day kids 3 and under eat free on the buffet. Cici’s Pizza: 17115 W. Bluemound Road Suite C ~ Kids under 3 eat free every day. Culvers: Most locations ~ Kids under 12 receive a free 1 scoop cone or dish with 1 topping with purchase of kids meal. Pizza Ranch Watertown and Waukesha – Kids ages 0-3 eat free at the buffet every day. Kwik Trip Milk Moovers Kids Club~ Every time you or your folks buy a pint or more of Nature’s Touch™ milk (any flavor), you’ll get a FREE Kwikery® cookie, regular cake donut, bagel, apple or orange! After you join, we’ll send you a club card with a coupon for free milk. And that’s not all. On your birthday, we’ll send you coupons for various Kwik Trip™, Inc. products. The club is open to all kids, ages 2-12. Join the Milk Moovers® Kid’s Club and then tell all your friends! Sign-up via this form. Pancake Cafe: 1727 S. Church Street, Watertown, WI ~ One kid eats free with the purchase of an adult meal from 7:00 am to 9:00 am daily. Kids 12 and under. Please call ahead to verify that the promotions are still current and valid! If you are a local restaurant (or know of a local restaurant) and want your Kids Eat Free or Cheap deal added to this guide, please email us at erin@lakecountryfamilyfun(dot)com with your deal information. You can also email us via the contact form. Tuesdays at the Pizza Ranch in Waukesha one kids free buffet with an adult buffet after 4PM. Red Robbin has kids meals for $1.99 on Wednesdays. 3 kids entrees per 1 adult entree and valid for kids under 11 years old. Dine in only.